Welcome to the official website of Referee Tony S.
Tony has been officiating since November of 2005 when he made his independent professional debut in North Oxford, Massachusetts, under the training of "Kidd U.S.A." Jay Jaillet. Since his initial training, Tony has continued to hone his craft and has officiated in some of the most well-known and respected organizations in New England. 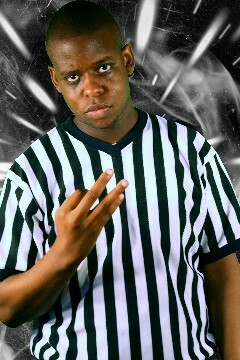 Tony S. currently officiates for Chaotic Wrestling, Lucky Pro Wrestling, Women Superstars Uncensored and has made appearances for Dragon Gate USA (2009-2011) & Ring of Honor (2008) live events, DVD releases and internet Pay Per View events. This website has been created to provide information on the events that Tony S. works with, the matches he officiates, pictures, social networking connections and blogging. If you are interested in booking Tony S. to referee your professional wrestling live event, or for a fan interview, please visit the Contact page. "A Class Act..." "What a referee should be in and out of the ring..." "Proud to call him my friend..." See what ROH's own Bobby Cruise, former MWF Tag Team Champion J-Busta and Chaotic Wrestling Hall Of Famer Rich Palladino had to say and you can have the opportunity to weigh in your opinions!